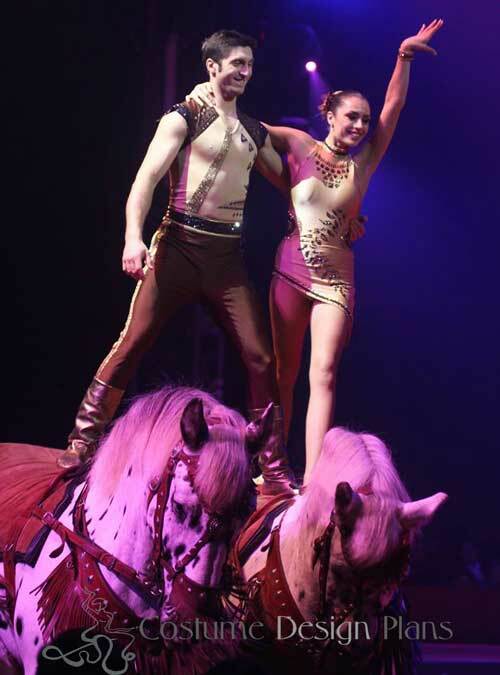 Merrylu and Josef performs a “pas de deux” act on horse for the music of Tarzan by Disney. They asked for a costume in line with the music, but modern style at the same time. We designed a sand coloured half-sided dress for Merrylu, decorated with golden and dark brown stripe, dark brown leaves at the front and back. For Josef we suggested a sand coloured tight top with dark brown and black shoulder part embedded, and dark brown trousers. We ordered the fabrics from Crisanne company, England and from a supplier in Budapest. 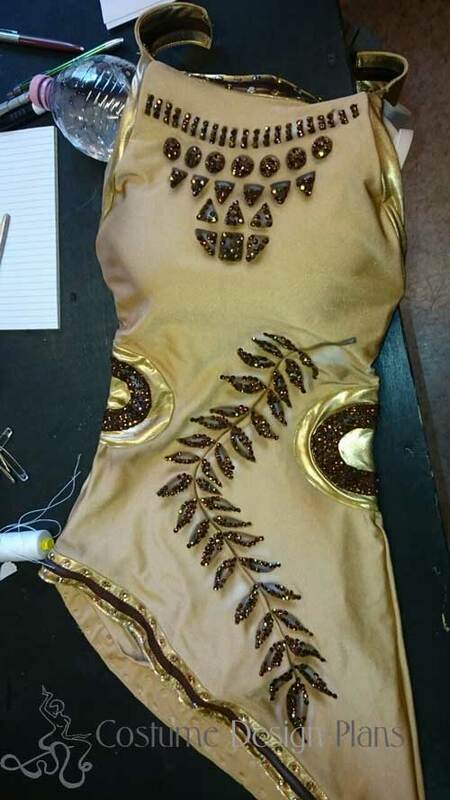 We decorated the costumes with 8200 Swarovski crystals. 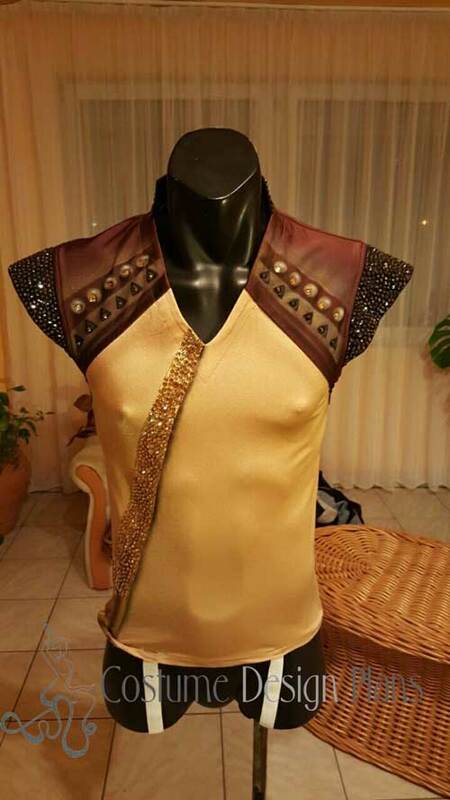 The costumes were extremely successful in Christmas show in Stuttgart. This entry was posted in Our Works. Bookmark the permalink.